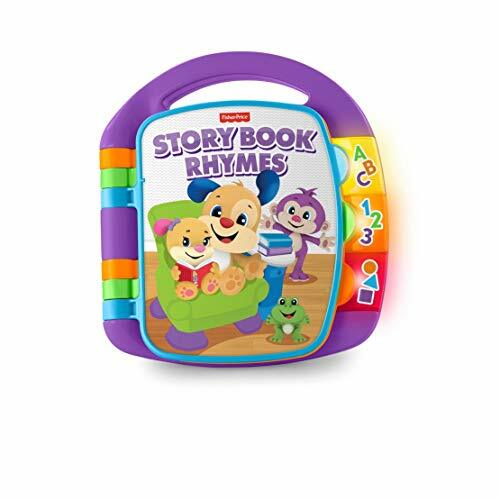 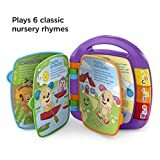 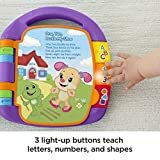 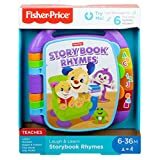 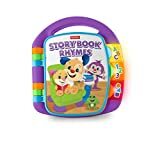 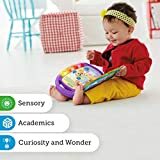 Shop Ireland » Toy » Fisher-Price M064826 Laugh and Learn Story, Rhymes, Electronic Educational Toddler Baby Book Toy with Words, Letters and Numbers, Suitable for 6 Months Plus in Assorted Colours. 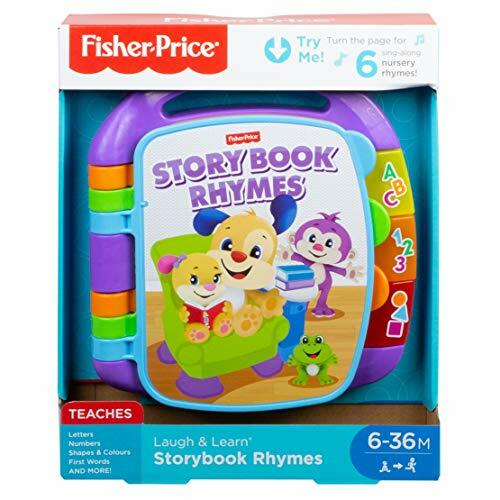 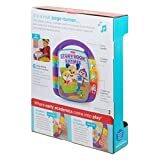 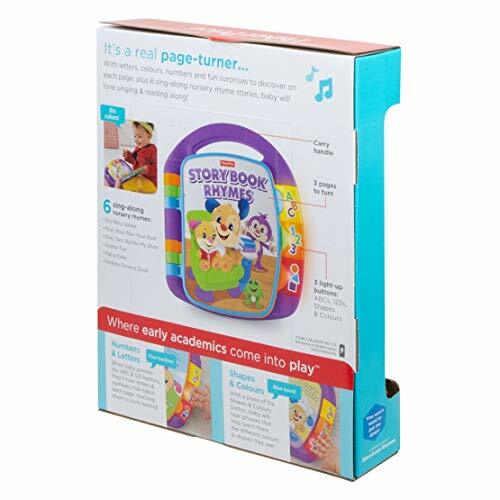 Fisher-Price Laugh and Learn Storybook Rhymes is an interactive learning toy for babies aged from six months up. 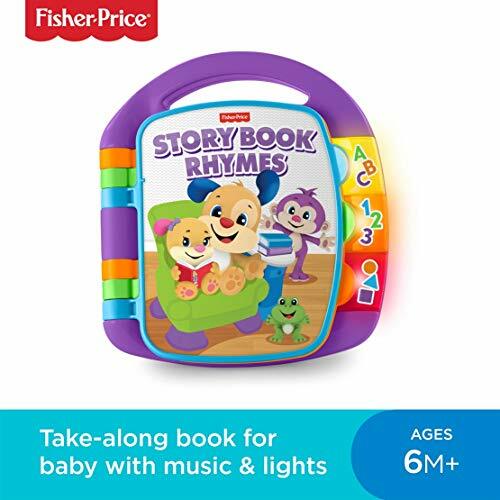 Featuring six classic nursery rhyme songs like Pat-a-Cake or Row, Row, Row Your Boat and colourful illustrations with kid-favourite puppy and sis characters, this electronic musical storybook encourages your baby to turn the pages and sing along to the music. This educational baby toy also has three big light-up buttons for letters, numbers and shapes that help your little one to learn about reading, counting, colours and first words. 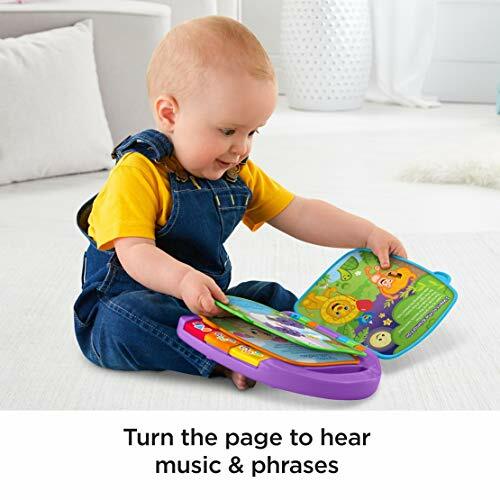 By turning the pages and pressing the buttons, kids can learn about causality and discover the idea of action and reaction. 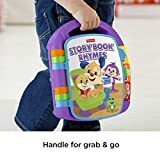 Thanks to the handle on top, Fisher-Price laugh and learn Storybook Rhymes can be easily carried around and taken wherever your baby wants.